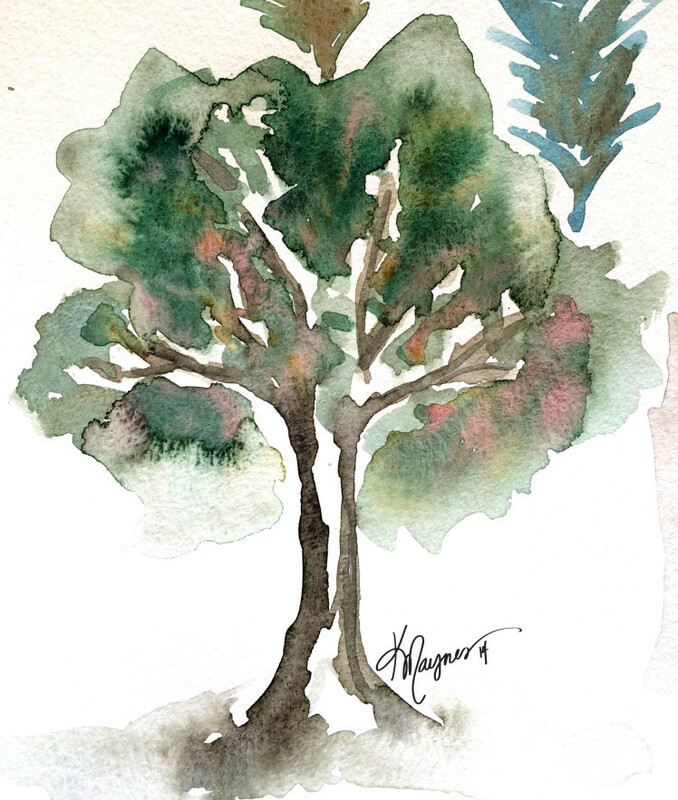 Welcome to the last part of my Watercolor Trees series. 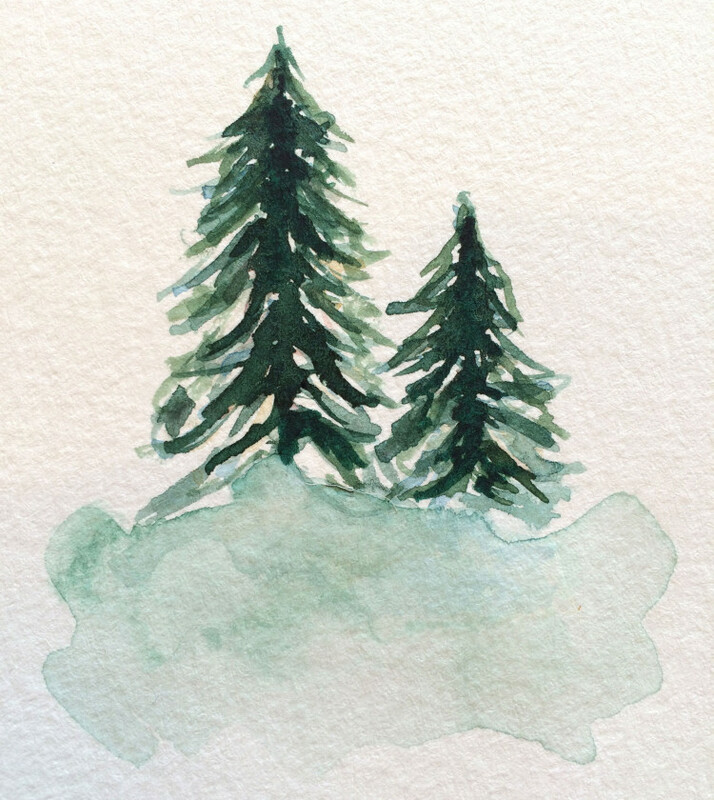 I originally planned on painting mostly Birch trees but I learned that I love painting Pine trees. The painting above is from from part 4. Here’s a recap of the last 4 weeks, top right is last weeks paintings (I tried using more blue). As I look at these pictures I see that my best, imo, paintings were in the 1st week (bottom left). Thanks for joining me for my Watercolor Series. 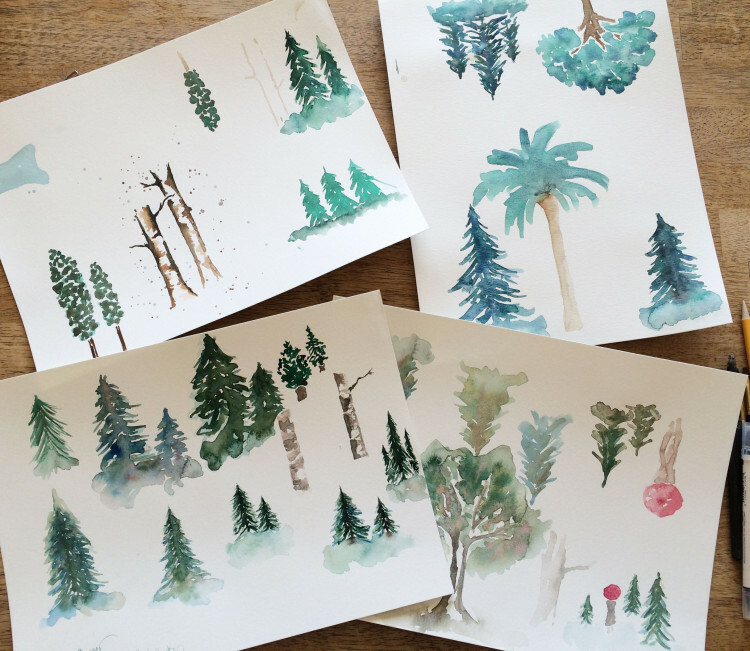 I’m excited to continue to paint trees and hopefully learn to paint more than Pines. 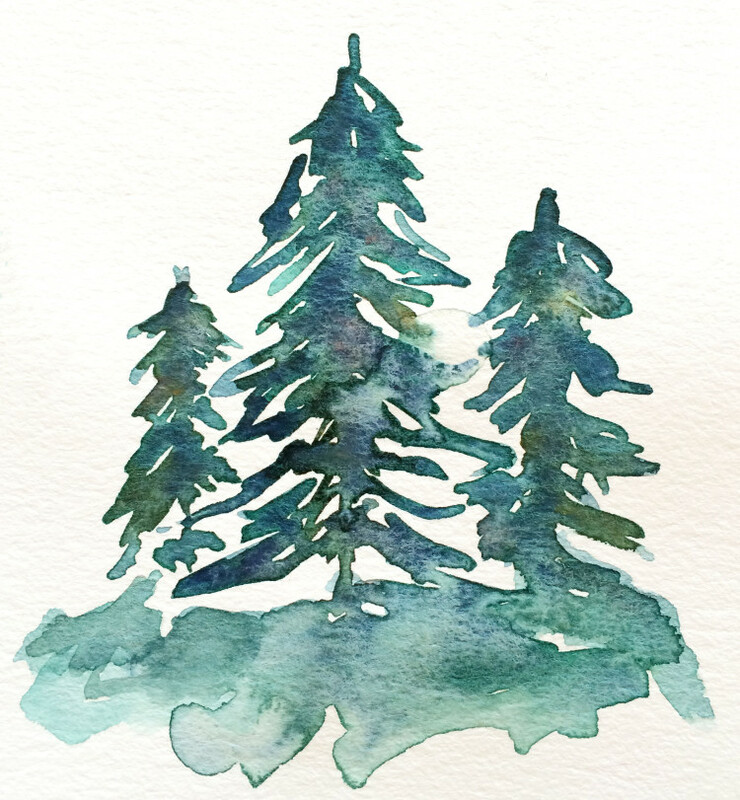 Kristin, I love your watercolour trees… love the simplicity.